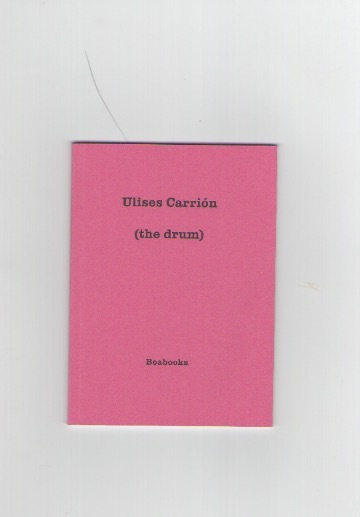 (the drum) is one of Ulises Carrión’s early linguistic exercises in English, originally handwritten in black ink in 1972. The artist fragments the names of musical instruments to express a sound. His attitude to poetry precluded, to a certain extent, his book The new art of making books: “The text of a book in the new art can be a novel as well as a single word, sonnets as well as jokes, love letters as well as weather reports."